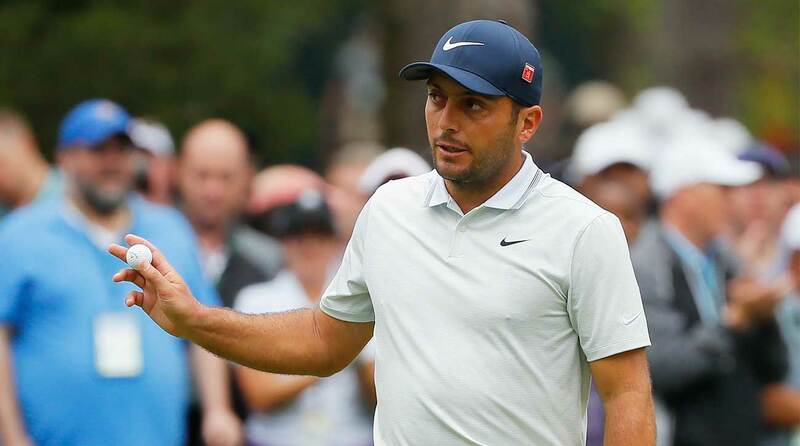 Francesco Molinari was near bulletproof at the 2019 Masters — until the back nine on Sunday. Molinari made double bogeys on 12 and 15, both of which were crucial blows in his final-round 74, which left him two behind winner Tiger Woods. Molinari led Woods by two at the beginning of the round and was up by that same margin when he and Woods stepped to the par-3 12th. The 37-year-old Italian splashed his tee shot into Rae’s Creek and made double, and after Woods’s par they were tied. They both went birdie-par on 13 and 14, but Molinari’s double bogey on 15 — paired with Woods’s birdie — gave Woods a lead he never lost. Francesco Molinari led the Masters with nine holes to play, but he couldn't hang on. While speaking to CBS afterward, a disappointed Molinari found a touch of humor in his finish, which allowed the fan favorite to slip on his fifth green jacket. “I think I made a few new fans today with those two double bogeys,” he said. Molinari, who tied for fifth, hit the bank with his tee shot on 12 and watched it roll back into the water. On 15, his wayward drive forced him to punch out. But his ball rolled too far and landed in the rough and under a tree, which led to his third shot hitting a limb and falling into the water. His fifth shot after a drop barely stayed up on the bank. He elaborated on his errors later on Sunday afternoon.